I had the opportunity to visit Vigan with some of the sweetest people I've ever met in September of 2017. 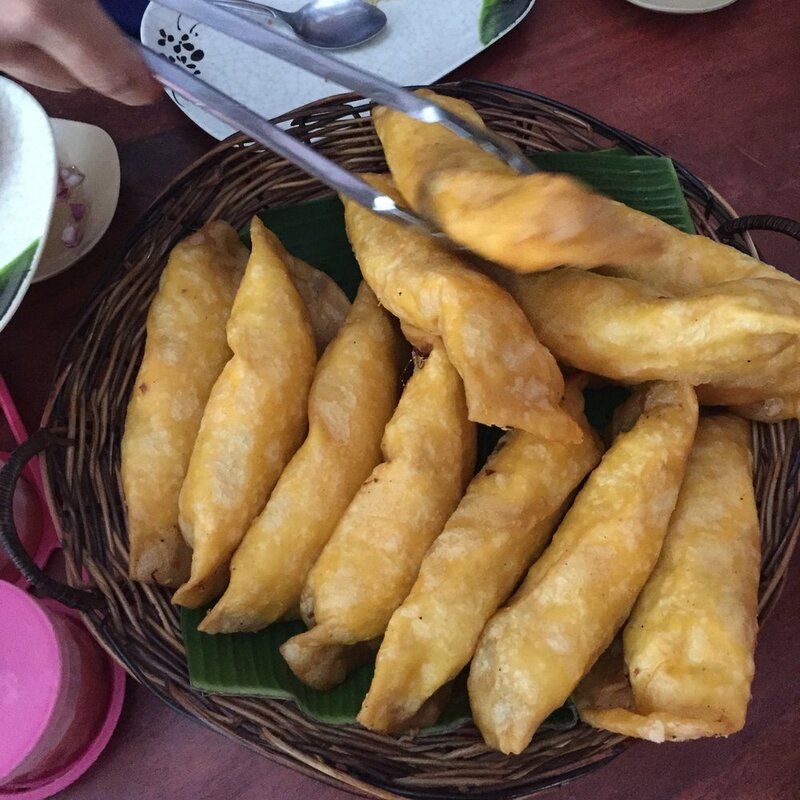 There, I was introduced to Vigan empanadas, which are beautifully crispy shells stuffed with vegetables, meat, and eggs. I longingly craved for these empanadas when I came back to the states that I even tweeted about it. The videos I watched made me super determined to recreate my own version at home. I am telling you... the craving was real. So, I looked up some recipes and decided to make a version of my own inspired by whatever else I found in my refrigerator. Here's how! Mix the dough ingredients in a bowl and knead dough lightly. Take a small golfball-sized portion of the dough and flatten out with a rolling pin in between 2 pieces of parchment paper. Set aside and start making your filling. In a skillet, add vegetable oil and saute onions until soft and starting to brown. Add mushrooms and cook until soft then add minced garlic, chorizo, and spinach + pepper to taste. Remove skillet from heat and wait for it to cool down. Once cool, add about a tablespoon of filling in the middle of each empanada round. Make a well and crack one quail egg inside + grate edam cheese to top. Seal the sides of the empanada and deep fry. Once cooked on both sides, transfer empanadas on paper towels and sprinkle with salt while still hot. 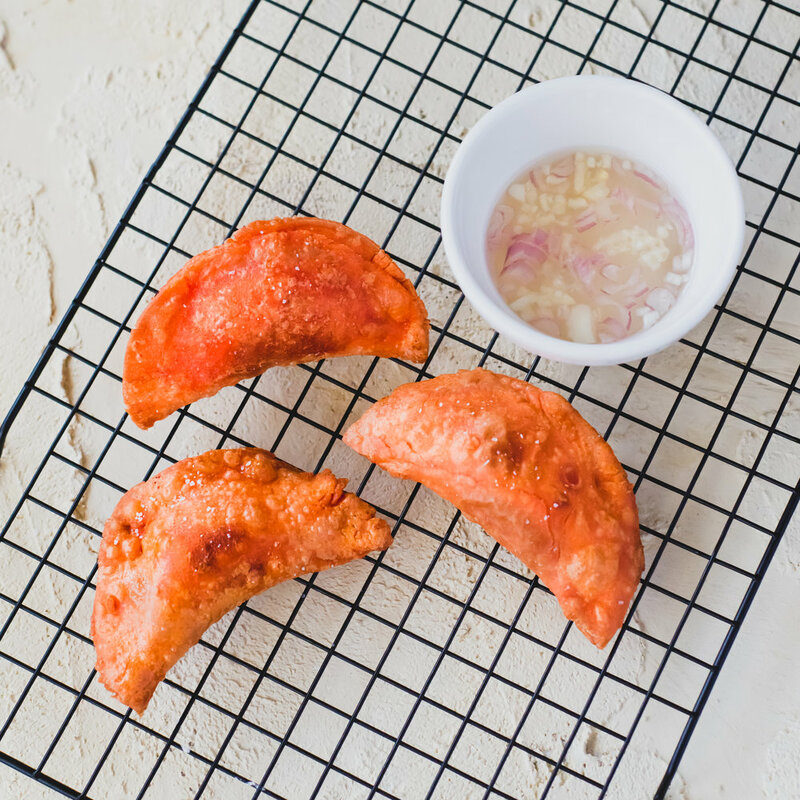 This recipe is definitely a modern way of making empanadas. Traditionally, Ilocos has two different kinds—Vigan and Batac. After making my dish, I realized I was inspired to create by a Vigan trip only to have created a Batac inspired empanada. Both kinds of empanadas are prepared and cooked in the same way, but here are the differences! Has a lot of variations—bean sprouts, papaya, hot dogs, etc. One of my favorite facts is that "Vigan" translates to "beautiful shore" in Hokkien Chinese. Can we also just appreciate how beautiful this empanada process is? It's so fast!